Dr. Jeffrey C. Klein began his education in the Moorestown Public School system. He graduated in 1976 in the top 10 of his class and won all state wrestling honors. He is married with four daughters, also in the Moorestown Public School system. 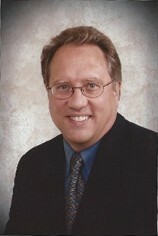 Dr. Klein graduated in 1983 from Emory University School of Dentistry. After graduation Dr. Klein practiced in Atlanta, Georgia with his mentor and Emory Dental School professor, Dr. Robert Kleiner. It was during these first few years of practice in the 1980's that bonding emerged as a viable cosmetic dental technique. Dr. Klein, still having immediate ties to The Emory University dental academia, had the opportunity to become exposed to this exciting new genre called cosmetic dentistry. Dr. Klein was following the pioneers of the field, being the first dentist in Burlington County to "bleach" teeth. As rudimentary as it was in the 1980's, vital tooth bleaching was effective and it was Dr. Klein who was educating his Burlington County Dental Study Group peers on the procedure. Since then Dr. Klein has studied with more than 40 of the world's top cosmetic dental experts and is constantly upgrading and improving his technology and techniques. He has been a member of the American Academy of Cosmetic Dentistry since 1995. Dr. Klein is an Invisalign Orthodontic System certified dentist and he is certified in the Branemark/Nobelpharma, Corevent, 3i, 3M and IMTECH MDI implant restoration systems. In 1997, Dr. Klein was one of the first dentists in South Jersey to incorporate digital radiography into his office. In 2003 Dr. Klein became one of the few Biolase Waterlase certified dentists in Burlington County incorporating laser Technology into his family and cosmetic dental practice. Dr. Klein has restored over 10,000 teeth with porcelain restorations. Dr. Klein still lives in Moorestown with his wife, Kimberly, and his four daughters, Lexi, Shelby, Grace and Macai. He is still active in the wrestling program in Moorestown as a volunteer coach and a board member of the Wrestling Association. He was inducted into the South Jersey Wrestling Hall of Fame in 2012.